Over the past few years, Dubai Electricity and Water Authority (DEWA) has recorded multiple successes and achievements, ranking high amongst the most prestigious organisations in the world, and surpassing major European and American utilities. DEWA achieved the lowest customer minutes lost per year (CML) in the world with 2.68 CML, compared to 15 minutes in Europe, and reduced losses from electricity transmission and distribution networks to 3.3% compared to 6-7% in the USA and Europe. Water network losses were also reduced to 7.1% compared to 15% in North America. The UAE, represented by DEWA, maintained its first global ranking, for the second consecutive year, with scores of 100% in all Getting Electricity indicators in the World Bank’s Doing Business 2019 report. The report measures the ease of doing business in 190 economies around the world. “At DEWA, our strategies and business plans are guided by the vision and directives of the wise leadership of His Highness Sheikh Khalifa bin Zayed Al Nahyan, President of the UAE; His Highness Sheikh Mohammed bin Rashid Al Maktoum, Vice President and Prime Minister of the UAE and Ruler of Dubai; and His Highness Sheikh Mohamed bin Zayed Al Nahyan, Crown Prince of Abu Dhabi and Deputy Supreme Commander of the UAE Armed Forces. We also seek to implement ambitious national strategies and plans, including UAE Centennial 2071, which is a long-term government plan to prepare the UAE and young Emiratis for the future, and the Dubai Plan 2021 for Dubai to be the preferred place to live, work, and visit,” said HE Saeed Mohammed Al Tayer, MD & CEO of DEWA. “We are proud that DEWA is part of the UAE’s global achievements that are accomplished by Emirati men and women who do their best to make DEWA a global role model in energy efficiency and reliability, as well as in providing a state-of-the-art infrastructure that will transform Dubai into the smartest and happiest city in the world, as well as promote sustainability and the transition towards a green economy,” added Al Tayer. Over the past four years, DEWA won over 190 prestigious local and international awards. These include the Leading Government Entity at the 20th Dubai Government Excellence Program (DGEP) Awards, according to the fourth-generation government excellence system, and six awards at the 21st DEGP. DEWA won the highest award in the European Foundation for Quality Management (EFQM) Excellence Model, becoming the first organisation outside Europe to receive this prestigious award, and the first in the Award’s history to win it from first application. DEWA achieved between 750-800 points, leading it to rank in the Platinum category, which includes leading companies and institutions that promote sustainable excellence. DEWA owns a world-class infrastructure with an installed capacity of 10,927 megawatts (MW) of electricity and 470 million imperial gallons per day (MIGD) of desalinated water. DEWA is continuously developing its assets that are worth over AED 144 billion with investments of AED 81 billion over the next five years to meet the growing demand for electricity and water in Dubai and achieve the objectives of the Dubai Clean Energy Strategy 2050 and the Demand Side Management Strategy to reduce energy and water use by 30% by 2030. The Dubai Clean Energy Strategy 2050 aims to transform Dubai into a global hub for clean energy and green economy by diversifying the energy mix to include 7% of Dubai's total power output from clean resources by 2020, 25% by 2030, and 75% by 2050. The strategy includes five main pillars: infrastructure, legislation, funding, building capacities and skills, and an environment-friendly energy mix. In January 2012, HH Sheikh Mohammed bin Rashid Al Maktoum launched the Mohammed bin Rashid Al Maktoum Solar Park. It is the largest single-site solar park in the world that will generate 5,000MW by 2030, with total investments worth up to AED 50 billion. Upon completion, the solar park will reduce over 6.5 million tonnes of carbon dioxide emissions annually. DEWA works in line with the vision of HH Sheikh Mohammed bin Rashid Al Maktoum, Vice President and Prime Minister of the UAE and Ruler of Dubai, that the smart government goes to the people and does not wait for them to come to it. DEWA also supports the Dubai Paperless Strategy launched by HH Sheikh Hamdan bin Mohammed bin Rashid Al Maktoum, Crown Prince of Dubai and Chairman of the Executive Council of Dubai, to build an integrated paperless government framework by 2021. Adoption of DEWA’s smart services reached 92% in the third quarter of 2018. Customers can complete all their transactions anytime, anywhere, using DEWA’s multiple smart channels, saving their time and effort. DEWA’s Shams Dubai initiative supports the Smart Dubai initiative to make Dubai the smartest and happiest city in the world. The initiative encourages building owners in the Emirate to produce their energy needs using solar photovoltaic panels installed on rooftops and connecting them to DEWA’s grid. The initiative achieved great success, with over 1,200 solar photovoltaic panels installed on rooftops and connected to DEWA’s grid, with a total capacity of about 59 MW. DEWA expects the number to double in the future, and reach all buildings in the Emirate by 2030. The Smart Grid is a key component of DEWA’s strategy to develop an advanced infrastructure to support the Smart Dubai initiative to transform Dubai into the smartest and happiest city in the world. The Smart Grid includes programmes with investments of up to AED 7 billion that will be completed in the short, medium, and long-term until 2035. 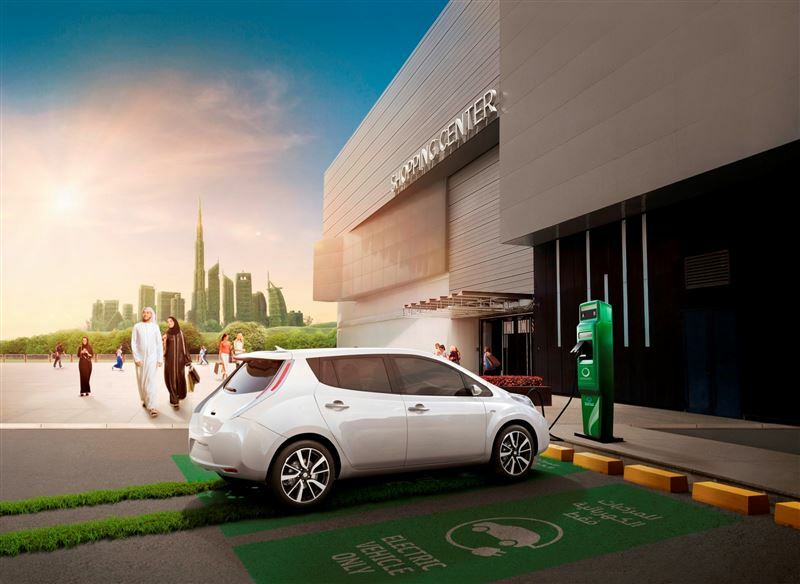 The Green Charger initiative for electric vehicles (EVs) supports the Smart Dubai initiative and green mobility in the Emirate. 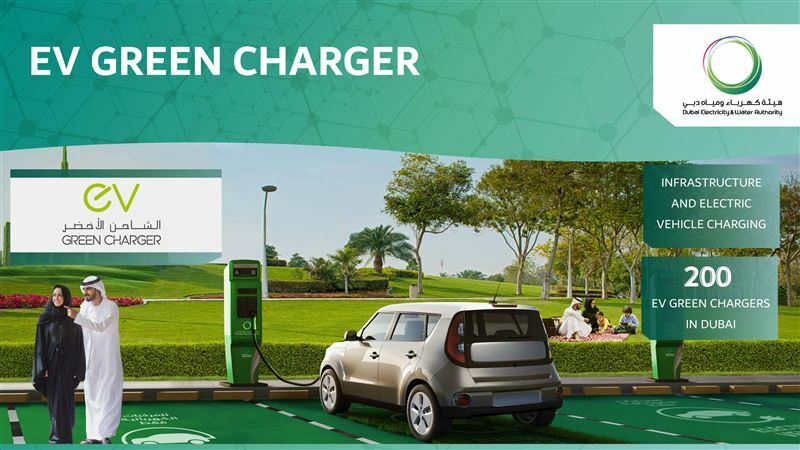 DEWA has installed 200 Green Chargers across Dubai to promote the use of environmentally friendly EVs, and offers free charging service until the end of 2019. To support the Hatta Comprehensive Development Plan launched by HH Sheikh Mohammed bin Rashid Al Maktoum, DEWA launched a number of development projects, including a 250-megawatt pumped-storage hydroelectric power station in Hatta that will make use of the existing water stored in the Hatta Dam, and an upper reservoir that will be built in the mountain. The station, which is the first of its kind in the GCC countries, has a lifespan of 60-80 years. During off-peak hours, turbines that use clean solar energy will pump water from the dam to the upper reservoir, and during peak-load hours, when production cost is high, turbines operated by the speed of the waterfall from the upper reservoir will generate electricity that will be connected to DEWA’s grid. The efficiency of power production will reach 90% with the response to the demand for energy taking place within 90 seconds. Through Digital DEWA, its digital arm, DEWA is redefining the concept of a utility to create a new digital future for Dubai. DEWA will disrupt the entire business of public utilities by becoming the world’s first digital utility to use autonomous systems for renewable energy and storage while expanding the use of artificial intelligence (AI) and digital services. DEWA’s initiative within Dubai 10X has four pillars to deliver a new utility experience for Dubai and the world. 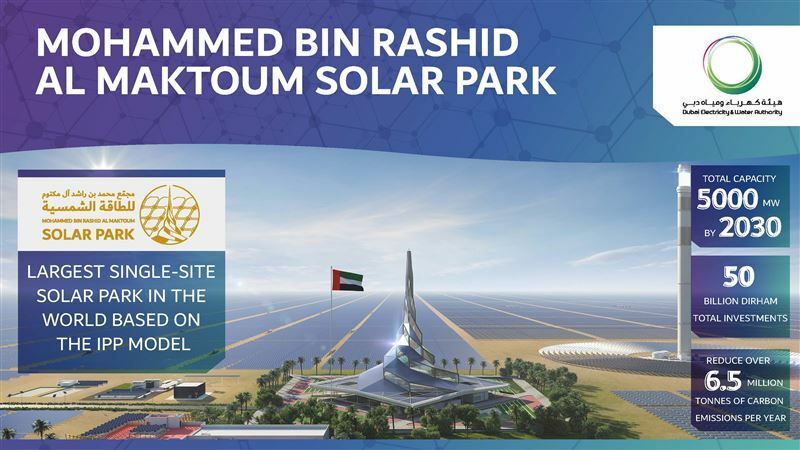 The first pillar is launching advanced solar power technologies in Dubai; the second is deploying a renewable energy grid with innovative energy storage technologies that use advanced machine learning, followed by expanding its use of integrated AI solutions to make Dubai the first city to provide AI-based electricity and water services. The fourth pillar is using connected technologies to provide round-the-clock world-class service-delivery for Dubai. DEWA will also launch a futuristic digital platform, a data hub called MORO, to improve the UAE’s digital capabilities to develop smart cities and provide state-of-the-art, innovative, digital solutions. DEWA launched DEWA Store on its smart app to provide exclusive offers and discounts to DEWA’s customers, in cooperation with a number of public and private sector companies. The move is the first of its kind by a government organisation in the UAE. DEWA Store offers include discounts on telecommunications packages, bank services, insurance, smart-home systems, maintenance companies, consultants, and logistics companies among others. DEWA places the culture of health, safety and the environment at the forefront of its priorities and is committed to fully comply with safety standards. DEWA has scored over 96% in safety with zero environmental violations, which is one of the highest percentages in the world. These efforts resulted in many leading global achievements. This year, DEWA was awarded the Sword of Honour for Health and Safety for the 11th time. The British Safety Council declared that DEWA is the only organisation in the Middle East and North Africa to win both the Globe of Honour Award for Environment and the Sword of Honour for Health and Safety, for 7 years running, and the first international public body to win both awards at the same time. DEWA is also certified by the British Safety Council as a training centre that can award all the certificates issued by the Council. This means that DEWA’s employees and strategic partners who are trained by our internal team receive certificates in occupational health and safety from the British Safety Council. As part of its efforts to keep pace with the latest developments in occupational health and safety, DEWA organised the 10th annual Best Practices Conference on Quality, Health, Safety, and Environment (QHSE), which is one of the most important platforms that contribute to enhancing knowledge and sharing experiences in these key areas. DEWA inaugurated Future Customer Happiness Centres at Ibn Battuta Mall, Dubai Festival City, and Dragon Mart 2, as well as transforming its centres in Al Twar Centre and Burj Nahar into Future Customer Happiness Centres. The Centres use Artificial Intelligence (AI) and Robotics and provide smart and innovative services during the shopping centres’ and DEWA’s official working hours. Customers’ happiness about these centres was 97% in Q3 of 2018. DEWA is working to transform all its Customer Happiness Centres into Future Customer Happiness Centres. DEWA annually organises the Water, Energy, Technology, and Environment Exhibition (WETEX) under the directives of HH Sheikh Mohammed bin Rashid Al Maktoum, Vice President and Prime Minister of the UAE and Ruler of Dubai, and under the patronage of HH Sheikh Hamdan bin Rashid Al Maktoum, Deputy Ruler of Dubai, Minister of Finance and President of DEWA. WETEX has become an annual event that attracts international organisations and companies specialising in energy, water, and environment, to show their technologies and products and identify investment opportunities in these key areas. The exhibition offers a unique opportunity for investors to establish and develop trade relations and enhance business opportunities by holding one-on-one meetings with major corporations and decision makers from the region and the world. Over 3 days, the 20th WETEX and the 3rd Dubai Solar Show recorded great success, with over 33,000 visitors and 2,100 exhibitors from 53 countries. Spread over a 78,413 square-metres, the two events were held under the umbrella of Green Week, in conjunction with the fifth World Green Economy Summit (WGES). DEWA’s programmes and initiatives have achieved significant savings in electricity and water across all sectors. Between 2009 and 2017, customers saved over 1.677 TW/h of electricity and 6.66 billion gallons of water, worth over AED 1.038 billion. The savings resulted in offsetting around 900,000 tonnes of carbon emissions. DEWA’s programmes and initiatives managed to reduce electricity use by 19% and water by 27% in the residential sector. The commercial sector reduced electricity use by 9% and water by 29%. The industrial sector reduced electricity use by 14% and water by 28%. Educational institutions succeeded in reducing electricity use by 10% and water by 24%. Government and semi-governmental organisations reduced electricity use by 12% and water by 21%.